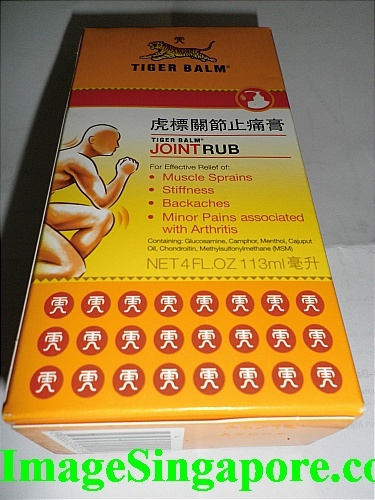 Recently saw this product called Tiger Balm Joint Rub on the shelf of a pharmacy store and decided to buy it to try out and then review it. On the box of this product it is stated that it is effective for the relief of muscle sprains, stiffness, backaches and minor pains associated with Arthritis. It also stated that this product contains Glucosamine, Camphor, Methol, Cajuput oil, Chondroitin, Methylsulfonnylmethane. Other ingredients includes Clove oil, Cinnamon oil, Mint oil, Urea, etc. The Tiger Balm Joint Rub comes in a bottle form with a pump. It is easy to use and you have to shake it well before applying it on your skin. The net content is 4 FL OZ or 113 ml. The color of this medicine is white and non sticky when you rub it on your joints. The instruction is that you have to rub it until it is completely absorbed onto the skin. However, take note that it should not be rubbed on open wound or damaged skin and it may cause allergy to some people. The first thing that I noticed was the strong and heavy medicated smell once I applied it onto my skin. I think the smell is really a turn off but I got used to it after a couple of days. I tried it on my knee caps which is causing some aching pains whenever I exercise too vigorously. It is very easy to apply and I applied sufficient amount around my knee caps. After a few minutes, I felt the heating sensation around the knee caps and this hot sensation lasted more than 10 minutes. The warmth sensation was in fact quite pleasant and it does gave me relief from the aching pain on the affective area. 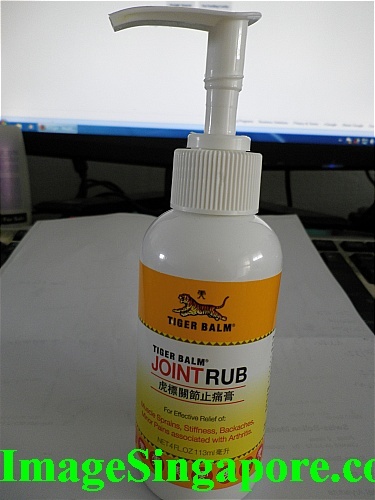 I had tried the Tiger Balm Joint Rub for almost 3 weeks and I liked this product. I did not apply it daily but only when there is aching pain on my knee caps. It does effectively remove the aching pain quickly; and prevent recurring pain for the next couple of days even without application. The only thing that I do not like is the smell of this cream; it has a very strong pungent smell of herbal medicine. Desktop PC Have No Screen Display – How I fixed it. Cannot Start Up or Boot Windows 7 – How I fixed it.